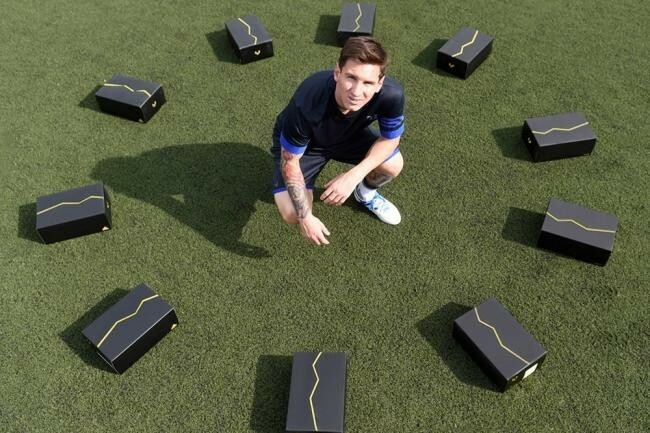 FC Barcelona’s Lionel Messi and his sponsors Adidas have combined together for a novel campaign where 10 footballers would get to wear his new limited edition Messi 15 boots this season. The idea behind this campaign is to promote the possibility of these 10 players potentially emulating the Argentine genius one day and achieve world class heights in their careers. And for the whole of the 2015/16 season, each player will film clips of his progress in the boots. Among the chosen names are Manchester United’s young striker James Wilson and Chelsea forward Robert Kenedy. Wilson made his name last term when he broke into the first team under manager Louis van Gaal and scored 4 goals in 18 appearances overall. The 19-year-old, however, has fallen down the pecking order and hasn’t seen any minutes on the pitch in the new season especially after new arrivals Memphis Depay and Anthony Martial. The striker also signed a new four-year contract with the club on Saturday until June 2019 with an option to extend for a further year. The 10 players chosen for Team Messi are: Robert Kenedy (Chelsea/Brazil), Maxwell Cornet (Lyon/France), Jeremie Boga (Rennes [on loan from Chelsea]/France), Accursio Bentivegna (Como [on loan from Palermo]/Italy), James Wilson (Manchester United/England), Timo Werner (VFB Stuttgart/Germany), Aleksey Miranchuk (Lokomotiv Moscow/Russia), Gyasi Zardes (LA Galaxy/USA), Marcos Lopes (AS Monaco/Portugal), Khiry Shelton (New York City/USA).